At Per-Max Construction and Remodeling, our focus is on providing top-tier, cutting-edge remodeling services for residential, retail, and hospitality projects throughout the greater Miami area. We offer only the best building services and solutions to clients ranging from homeowners to professionals, providing experience, knowledge, and skill to seamlessly remodel existing spaces and erect new structures in a professional and forward-thinking manner. Out team will work directly with you, taking your ideas and converting them into tastefully designed spaces that maximize the beauty and usefulness or your property. What separates us from the rest is our ability to successfully "interpret our customers' visions and deliver our creation." Hotel Remodeling ContractorPer-Max specializes in hotel renovations, both interior and exterior. We have mastered the art and science of remodeling hotels and motels. It is truly a specialty and we feel proud at being expert remodelers for the hospitality industry. Every aspect at a remodeling project is taken into consideration. From start to finish, we plan every step of the remodeling project, including the selection of high quality materials. At Per-Max, our goal is to provide professional construction services in an affordable and reliable way, focused completely on customer satisfaction. The main ingredient... having the right team of people who are skilled, dynamic, and concerned for our clients. 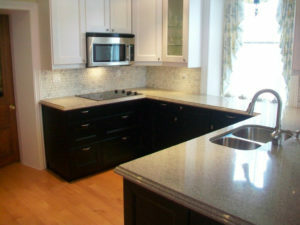 Miami General Contractor Specializing in High-End Renovation. For the residential, commercial, and hospitality industries.